Help Teaching Pro Subscription from HelpTeaching.com. Help Teaching Pro Subscriptions offers homeschooling families access to thousands of printables, online tests, worksheets, activities, lessons and games. There is a tremendous amount of material here for Grades: Kindergarten through grade 12. As a homeschool mom I’m always on the hunt for the perfect resources for add just the right thing to our homeschool. HelpTeaching.com. I could spend hours hunting the web for something useful. But websites like HelpTeaching.com eliminate that need. Included in this website is the ability to even create your own tests, quizzes, or worksheets right on the site. So even if you can’t zero in on the perfect thing then you can just make it yourself! For this review I worked with material geared primarily for the younger grades as I used it with my 6 year old daughter who is doing mostly 1st grade work. Signing up for a subscription is easy. Once that is done you can create a sub account for each of your children. If they have an email account you can link that too and then send them assignments at will. How neat is that? But if email isn’t a thing in your family no worries as it is not required. However, if you do go this route then your child will receive a link that will take them straight to the lesson or test. Later the parent can log onto his/her account to see how the child did. HelpTeaching.com offers more than just prinatables. There are also lessons and videos for a child to watch in and learn from in several subject acreas. They provide lessons like these in Language Arts, Math, and Science. At each level they offer quite the range of lessons and materials. Preschoolers can learn letters, colors, shapes, and more. In Physical education you’ll cover nutrition, how to play various games like basketball or soccer. Of course as I stated they cover the major subjects like math, language arts, history and more. Older students can enjoy content on drawing, theater, architecture, and life skills link banking and safety. HelpTeaching.com has many of lessons aligned to the Common Core standards which is something I typically try to avoid for many reasons that aren’t relevant to this review. I mention it because this is information I’d like to have up front and I do realize others feel differently and may even be required to use materials that are Common Core friendly. If so than this could be a very good fit for you. I have to say though that I didn’t come across any materials that seemed much different from any non-Common Core homeschooling materials. If the website didn’t tell me so and I could only see the materials I might not have even realized they were aligned. With my 1st grader I tended to stick with the predone lessons, especially in math. We’d watch a video and then complete the practice problems. We skipped around quite a bit and looked at the kindergarten lessons as well as the 1st and 2nd grade lessons. This let me hone in on activities that would support the math curriculum we typically use. The extra practice was very beneficial for her. I liked creating a variety of math sheets that really helped her work her addition problems. We also did a number of self-paced lessons in reading. She’d watch a video to learn about some word family (an, at, etc) and then do the practice questions after. I liked how it reinforced her skills. Over all this is a rich resource that is perfect for helping you really customize a child’s education. I appreciate the amount of material found here. We particularly like the pre done lessons. 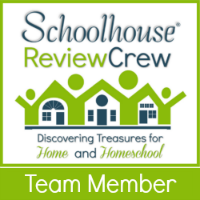 Several members of the Schoolhouse Review Crew were given the opportunity to try out the Pro Plan from HelpTeaching.com You can see how they used this in their homes by visiting the Schoolhouse Review Crew blog.